Common uses for our square shape custom printed window sticker #727W would be for identifying companies and industries like cable companies, telephone companies and electric utility companies. 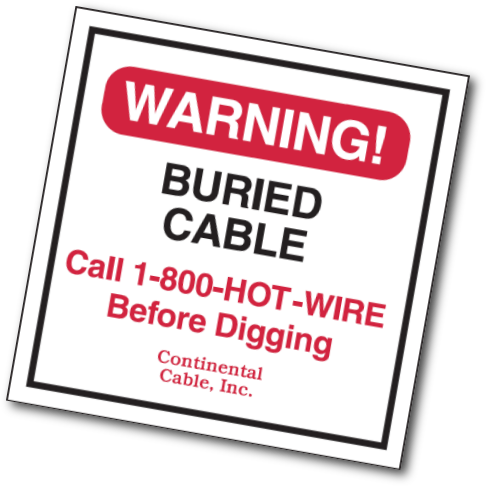 Companies like Continental Cable, Inc. would use these white vinyl 3" x 3" custom printed stickers to identify areas where phone or other utility company lines are buried. The Fire Red and Black UV ink and the wording “Continental Cable, Inc.” are shown to give you ideas for your upcoming project. These #727W square window stickers are on sale for the rest of April starting at a low price of 9¢! The above pictured 3" x 3" custom window decal was printed with Fire Red and Black UV Inks to give the Cable Companies many years of indoor or outdoor use. If you are in charge of signage or marketing for cable companies, telephone companies and electric utility companies or any other type of business and in need of a custom square shape white vinyl background stickers, use our contact us page for a firm quote on our competitive pricing and discounts. Our best pricing for the month of April is 9¢ each. The Fire Red and Black UV ink is a good contrasting color for our die-cut custom square style window sticker and will give cable companies, telephone companies and electric utility companies the professionalism and demanding attention it deserves. This durable white vinyl resists cracking, peeling and chipping, even in cold weather climates or hot desert areas! 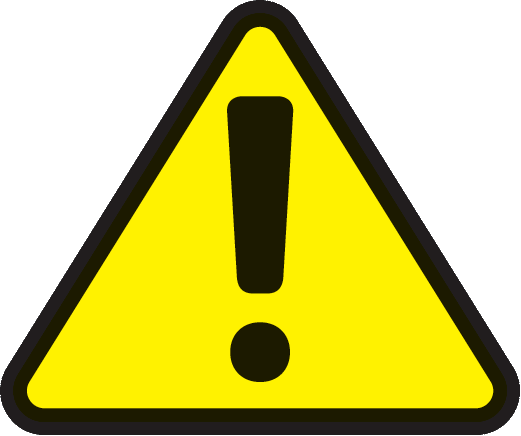 Security Decals are suitable for indoor or outdoor use. Clear polyester decals are designed for inside application only. © 1995 - 2019 www.customSecurityYardSigns.com - All rights reserved.